However Improbable: "Before you were all tall and cool. Now you are cute and cuddly." "Before you were all tall and cool. Now you are cute and cuddly." The last book I will be featuring for my...I never did title it, did I? Oh well, now that it is over I suppose it is too late to do so. Anyhow, this book was written by a good friend of mine. (I used to be a part of a writer's group with her in fact.) And it is the only book on my list I have had the chance to read. So this shall be a review of it. 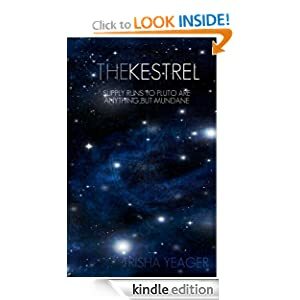 It is titled The Krestel, written by Trisha Yeager. Darin White has been to Pluto, but never as the captain of his own ship. Although interplanetary travel is normal, when the Kestrel encounters spacepirates near Jupiter, Darin learns that space - and the people in it - remains more of a mystery than he'd ever assumed. I have loved Trisha's writing for years so when I saw she had FINALLY published a book I bought it right away. Since then I have been slowly reading it so I can longer draw it out - since she has no other books in print. I loved this story. I shall admit, Darin isn't my top favourite hero she created, I shall always hobour a special place in my heart for another of hers, but Darin comes in very close. He is a rather laid back character who takes almost everything in stride and who loves to fly in space - who wouldn't though? He sometimes gets easily board, with good reason, and he is brave and daring. This is a book I can highly recommend. It is a fun space adventure, in fact, one of my favourite space adventures. And the winner is Kiminst! You need to email me and send me your address please so I can send you the book. Thank you everyone who entered! I hope you had fun, and I enjoyed reading your entries, I even added some new books to my to-read list. And this ends the book reviews. Tomorrow, my book will be out. And it is finally sinking in. 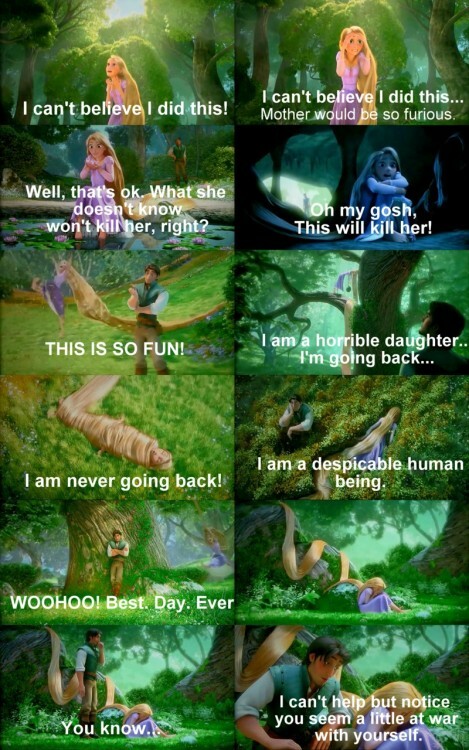 And I am kind of like this right now. Anyhow, when I'm not falling asleep - fighting to keep awake - I am either bouncing off the walls or getting ready to sit down and have a nice cry. I'm going to be a basket case tomorrow. I pity those who must be around me. With the lack of sleep, viewing The Hobbit, and my book being out I don't think anyone will be able to endure my company for long. And all my friends must put up with me as Friday is the day of the play I am in. And none of this feels real. I'm kind of in a daze and I don't think I'm ready. But I can't back out now...I have a feeling if I did so some of you might be displeased with me. And my mum would throw her shoe at me because she has been telling all her friends about her soon to be published author daughter. She insisted they all watch the trailer and has made me sound like Tolkien. "My daughter, Jack, she has a book coming out. And it is the best book ever. And you should buy it!" She is my best marketer. I shall see all of you tomorrow, about three in the morning, if not later. Quote is from Rise of the Guardians, again. This was a rather funny scene which I can't explain because of spoilers. But, I will say this, it is the only time a person might get away with calling Hugh Jackman cute without him pulling out his Wolverine claws on them. And your publishing unsurenessness amuses me. Makes me glad I opted for the more casual "Oh, this looks like a good day for publishing" approach. Anyways, don't forget to feed John. He wouldn't like to stave, you know. I can't wait for your book! I shall email you soon (however, life is quite hectic so...yeah...). I've enjoyed your book spotlight-thingy! Great job on surviving this week (hope you make it 'till the weekend ;). I'm very excited for you!! Just try to get a little bit of sleep and enjoy the ride!!! Oh Dear! If I were there I'd rush up to you with tea, hand it to you and whisper- "Lets dress in blue and watch Doctor Who. It'll be cool" too bad we don't live closer. Don't you hate being emotional? I have this sister that is really brilliant. She *fangirl's* with me, talks to me when I'm in a bad mood, demands me to stop crying when I'm upset and laugh at all the randomnly strange topics I bring up. Being eccentric is more fun when someone is eccentric with you. I love it when my best friend comes down and we all get crazy together. The things we say! Friends are life's greatest gifts. The tea and Doctor Who sounds wonderful! I would be up for that! Aye, it is a pity we do not live closer. I think tanged hair might be fun, but is it hard to run with really long hair? Your sister sounds wonderful! I;ve always wanted a sister like that. Though my brothers are very grand and put up with my battiness and weird jokes. Did you make it to the Hobbit?! Oh my goodness, a book about people being indignant over Pluto's status! I must read this! The name Darin is so cool... and I love love love the cover. So simple but so evocative and beautiful. Love it.